Nobel laureate Liu Xiaobo, who was China's most prominent human rights and democracy advocate, has died aged 61. The activist had been serving an 11-year prison term for "subversion" and was recently moved to a hospital for treatment for terminal liver cancer. Mr Liu died "peacefully", surrounded by his wife and other relatives, a doctor who treated him said. His final words to Liu Xia were: "Live on well," the South China Morning Post reported. Liu Xiaobo played a significant role in the Tiananmen Square student protests of June 1989, which ended in bloodshed when they were quashed by government troops. He and other activists negotiated the safe exit of several hundred demonstrators, and have been credited with saving their lives. He was subsequently placed in a detention centre and released in 1991. Mr Liu's campaign to free those detained during the Tiananmen Square protests landed him in a labour camp in north-eastern China for three years, but he was permitted to marry poet Liu Xia there in 1996. He was later freed, and continued to campaign for democracy. The 11-year jail term was handed down in 2009 after he compiled, with other intellectuals, the Charter 08 manifesto. It called for an end to one-party rule and the introduction of multi-party democracy. Mr Liu was found guilty of trying to overthrow the state. The dissident won the Nobel Peace Prize in 2010 for his "long and non-violent struggle for fundamental human rights in China", but he was not permitted to travel to Norway to accept it. Chinese authorities refused Liu Xiaobo's dying request to be allowed to travel abroad for treatment. Instead he died as he had lived, under the close watch of the one-party state. The life and death of this Nobel laureate underline the cost of political defiance in China. 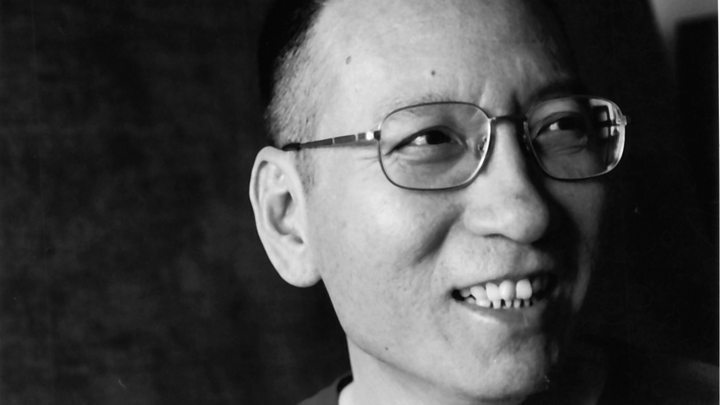 Liu Xiaobo had enjoyed a comfortable early career as a university professor, but the massacre which followed the 1989 Tiananmen Square protests was the fork in his path. Where many gave up demanding democracy, he stood firm and was jailed repeatedly. When he won the Nobel, he was serving a prison sentence for subversion. A furious Beijing subsequently placed his wife under house arrest. Only in a hospital ward in the last days of his life have this suffering couple been reunited, to be parted again by his death. In the weeks leading up to his death, Mr Liu's case became mired in international controversy. Several Western countries urged China to allow Mr Liu to leave the country to seek palliative care elsewhere. A German and an American doctor who recently visited and examined him in a hospital in the north-eastern city of Shenyang said he would be able to travel abroad. But Chinese medical experts insisted that he was too ill to travel. Mr Liu's condition deteriorated shortly after he was admitted to hospital, according to Shenyang's First Hospital of China Medical University. In a brief statement, Shenyang local officials said that Mr Liu had suffered multiple organ failure, and that efforts to save the activist had failed. At a press conference, Teng Yue'e, the doctor who led the team treating Mr Liu, said: "He was not in any pain at that moment, he was very much at peace, because all of his relatives said their goodbyes beforehand." The UN High Commissioner for Human Rights, Zeid Ra'ad Al Hussein, said Mr Liu "was and will continue to be an inspiration" and urged China to guarantee Liu Xia freedom of movement, allowing her to travel abroad should she want to. The Nobel Committee said: "The Chinese Government bears a heavy responsibility for his premature death." Human rights group Amnesty International said Mr Liu was "a giant of human rights... a man of fierce intellect, principle, wit and above all humanity". 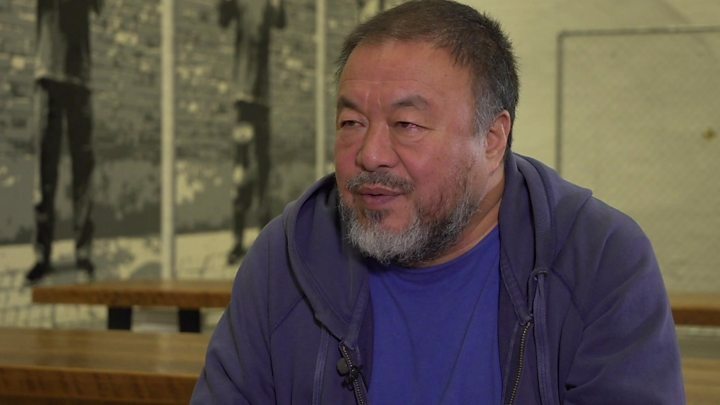 Chinese artist and dissident Ai Weiwei told the BBC: "China is such a society [where] the government is very arrogant and will never listen or negotiate or tolerate these kind of ideas. It's not only Liu Xiaobo, before him... millions lost their lives." US Secretary of State Rex Tillerson said: "Mr Liu dedicated his life to the betterment of his country and humankind, and to the pursuit of justice and liberty", and called on China to release the activist's wife from house arrest. British Foreign Secretary Boris Johnson: "Liu Xiaobo should have been allowed to choose his own medical treatment overseas, which the Chinese authorities repeatedly denied him. This was wrong and I now urge them to lift all restrictions on his widow, Liu Xia." Taiwan's President Tsai Ing-wen said on Facebook: "The Chinese dream should not be swaggering, the Chinese dream should include the dream of Liu Xiaobo: the implementation of democracy, so that every Chinese person can have freedom and dignity." German Chancellor Angela Merkel: "I mourn Liu Xiaobo, the courageous fighter for human rights and freedom of expression." French Foreign Minister Jean-YvesLe Drian: "Despite long periods of detention and for more than 30 years, he never stopped defending - with courage - fundamental rights and freedom of speech." What about reaction inside China? Coverage on mainland China has been muted - with only a few short reports in English. 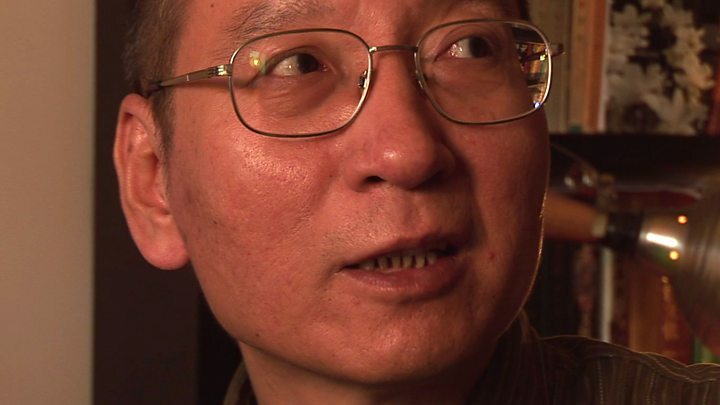 Xinhua and CCTV news have issued short statements on their English sites stating that Liu Xiaobo, "convicted of subversion of state power", has died. Communist Party mouthpiece Global Times said Mr Liu was "a victim led astray" by the West. "The Chinese side has been focusing on Liu's treatment, but some Western forces are always attempting to steer the issue in a political direction, hyping the treatment as a 'human rights' issue," the Global Times added. Official Chinese-language news sites on the mainland appear to have steered clear of reporting the story altogether. Social media users have also noticed attempts from government censors to mute reaction online. Many comments appear to have been deleted, including messages with "RIP" or candle emojis, popular when commemorating someone who has died.